Looks: Light and fluffy, but very dark green nugs. Small clumps of light orange crystalline pistils between all of the leaves and buds. Smell: This bud smells very strongly of hazelnuts when ground up. It is a unique scent. 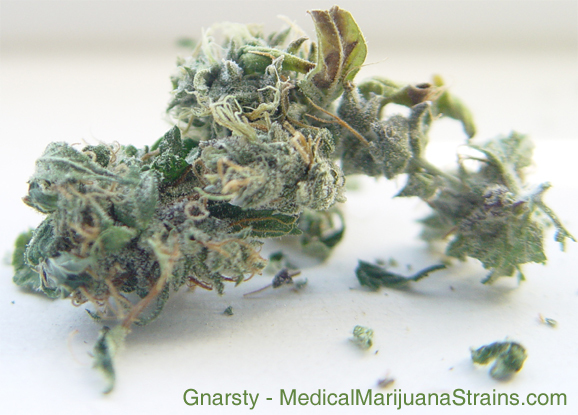 Taste: The flavor of this strain is not nearly as powerful as the scent. It tastes very mildly of brown sugar and an earthy, nutty flavor. Effects: The body buzz and pain suppression properties of this strain seem to be fairly limited. The cerebral qualities are, on the other hand, fairly intense. 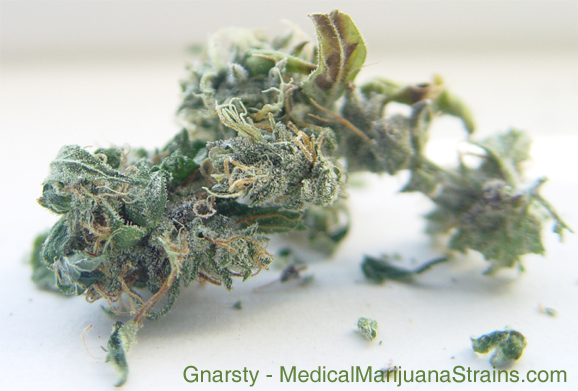 It has the focus and clear headedness of a good sativa, but the sense of relaxation typical of a good indica. It definitely lacks the jitters and soaring sensations that generally come with a strong sativas. Notes: This did very little for my stomach pains, but did help with the nausea (not sure why those would be separate, but they seem to be). This may be a good choice as a mixer with a strong indica for a more effective blend.